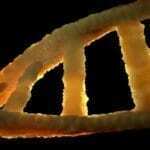 DNA exerts a potent influence over the biochemical processes which take place in cells. 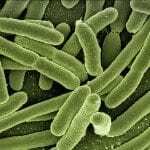 Much of the evidence for this has come from the study of viruses that attack bacteria. These are known as bacterial viruses, bacteriophages or just phase. (The word bacteriophage is derived from the Greek and means ‘eater of bacteria’). 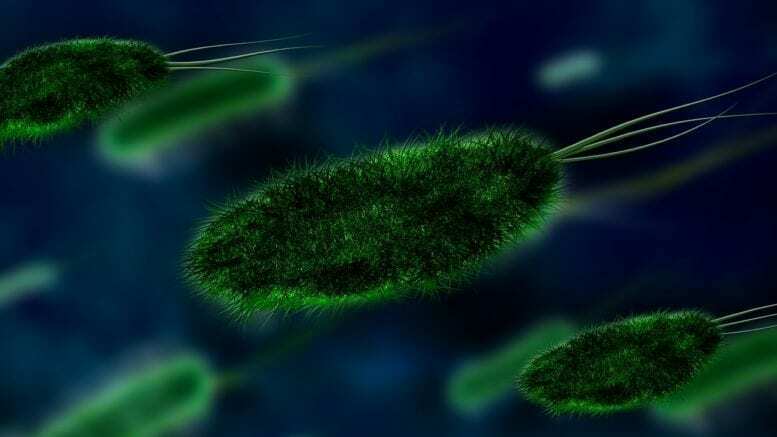 One type of bacteria readily infected by phage is the colon bacillus Escherichia coli which lives in the mammalian large intestine and can be quite easily cultured in the laboratory. Partly because of their possibilities as agents for destroying disease-causing bacteria, tremendous interest has been centered on the structure and reproduction of bacterial viruses. The structure of the strains of these bacterial viruses can be viewed with the aid of an electron microscope. Chemical analysis and election microscopy show it to consist of DNA surrounded by a protein coat. A long thread of DNA containing about 150 genes is packed into a head from which a short tail projects. Though somewhat larger than the majority of viruses they are nevertheless exceedingly small, the head having a total width of approximately 60nm. When a phage attacks a bacterium it adheres to the bacterial surface by its tail by a process which resembles the action of a hypodermic syringe, the DNA, new virus heads and tails are manufactured and assembled within the bacterial cell. After about 30 minutes the bacterium burst open, releasing some 300 viruses which then repeat the process in other bacterial cells. These biochemical processes can be followed through with the aid of an electron micrographs. In a series of complementary experiments, phage was grown in a medium containing labeled sulphates. After separation, most of the 35S was found to be confined to the virus coats and very little was present in the infected bacterial cells. The conclusion to be drawn from these results is that on infection only viral DNA enters the bacterial cell, the protein coats being left behind. 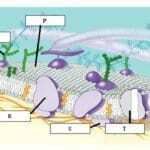 So the DNA enters the bacterial cell, the protein coats being left behind. So the DNA alone must be responsible for directing the synthesis of new viruses within the bacteria cell. The viral DNA takes over the entire metabolic machinery of the bacterium, suppressing its normal control processes and causing it to manufacture new protein coats and nucleic acid threads identical with those of the invading phage. Not all viruses inject their DNA into the cell. In some cases the whole virus enters the cell. Either way it is easy to see why they are always associated with disease. Viruses which actively attack and proliferate in cells are described as virulent. Sometimes, however, a virus may infect a cell and then remain in a quiescent state for an indefinite period of time. Instead of replicating, the viral DNA joins the cell’s own chromosomes, exerting no influence over the cell and replicating only when the host’s own DNA replicates. In this temperate state the virus is known as a provirus. From time to time the viral DNA joins loses its benign nature and gives rise to crop of new viruses which burst out of the cell. One theory of cancer is that cells may harbor foreign genetic material, possibly derived from viruses or proviruses, which exist in cells in temperate form and then suddenly becomes virulent. It is envisaged that in this case the genetic material does not manufacture new viruses but instead causes the host cell to become malignant, allowing to escape the body’s normal suppressive influences over cell division so that it proliferate into a tumor or growth. 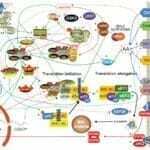 What this suggests is that although DNA may exert a powerful influence in a cell it can be suppressed or inactivated, as least temporarily. This is very important because if all the DNA presents in a cell was active all the time chaos might result. We shall come back to this in the next chapter. From the point of view of molecular genetics phage provides us with a marvelous tool for studying the action of DNA. 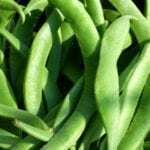 Its rapid and prolific reproduction, together with its sensitivity to various mutagenic agents, have made it possible to study the precise effects exerted by different sections of its DNA thread. The results of this research, too detailed to go into here, have gone a long way towards confirming the Watson-Crick hypothesis and establishing the mode of action of DNA. Further information on the influence of DNA on biochemical processes has come from the discovery, made in 1952, that when a virus reproduces inside a bacterial cell small pieces of the bacterial DNA may get enclosed inside the new viruses. If one of these viruses then infects another bacterial cell but remains temperate, it donates the bacterial DNA to its new host. This bacterial DNA then becomes incorporated into the host’s chromosomes, conferring new characteristics upon it. 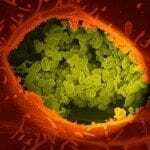 So the virus has carried DNA from one bacterial cell to another, a process known as transduction. Be the first to comment on "How DNA Controls the Biochemical Processes of a Cell"